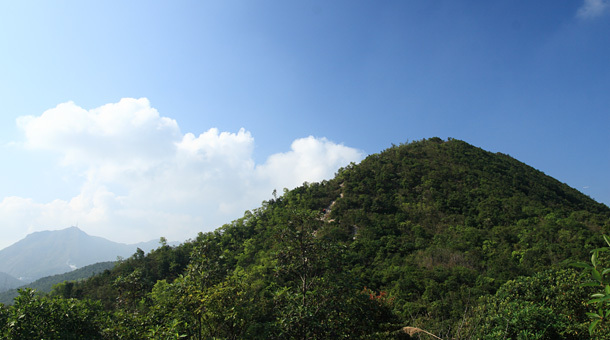 Hill, rising in Pik Uk of Sai Kung, can be reached by taking the uphill paths either from Po Lam, Tseung Kwan O, Clear Water Bay Road or Pik Uk. Take the road leading to the service reservoir located on the opposite of Clear Water Bay School. 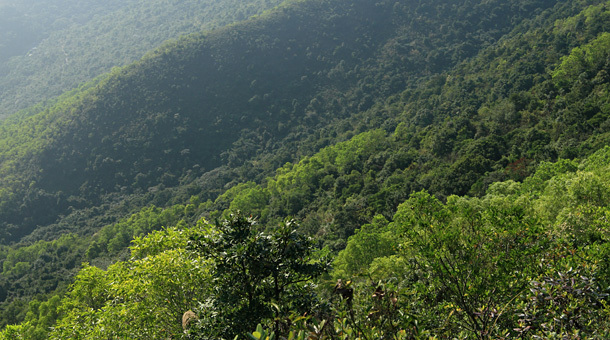 Skirt around the service reservoir and follow the overgrown trail to the foot of Razor Hill. Take the uphill path to a crossing. Turn right and head to the top and then retrace your steps to the crossing. Follow the gravelly path to the southerly direction. 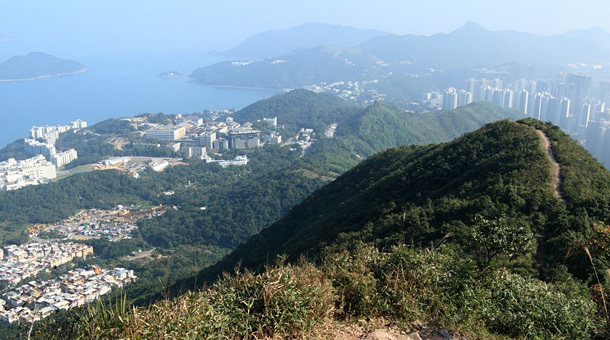 After descending to a crossing, walk a short distance to the right and then go downhill to Po Lam Road North. The trail head leading up to Razor hill is indistinct. 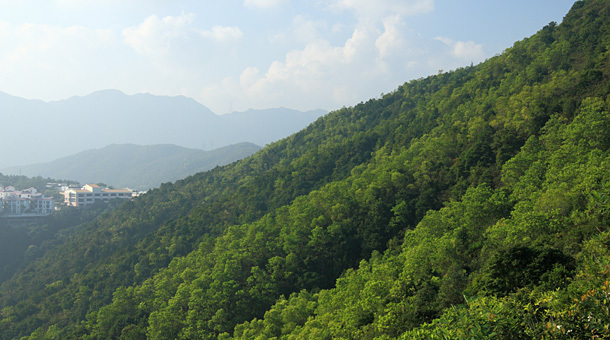 The uphill path is moderately difficult while the downhill path is gravelly. The path leading up to Razor Hill is slightly demanding. 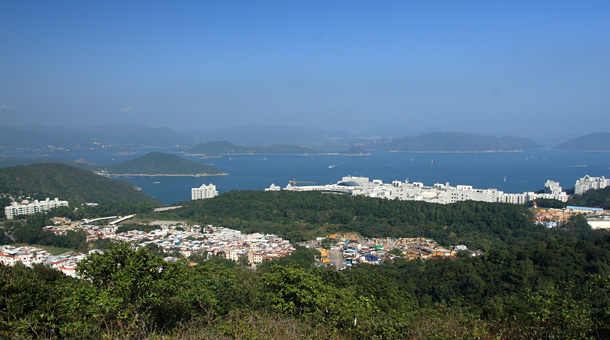 The hill top offers sweeping views across Port Island and the islets in the vicinity. Whenever I have a bus ride passing Pik Uk, I am always attracted to the flourishing trees over the northern slope of Razor Hill. The saddle is usually shrouded in mist, which may be the reason why the trees always look so vibrant and lively.